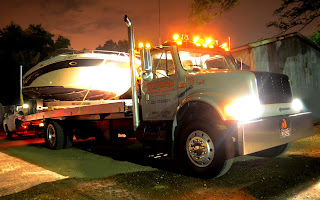 * Office hours: Monday through Friday, 8 a.m. to 5 p.m.
"Awesome people to do business with! Mike and Sassy came to my aid when my motorcycle broke down one night while out of town for work. Since I was from out of town and didn't know what to do or where to go he even offered to help me the next day (during daylight). Thank you to the whole Tortorich family!" 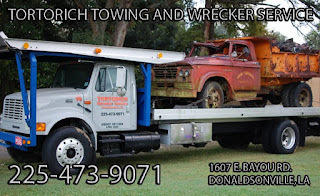 Tortorich Wrecker Service in Donaldsonville, Louisiana can handle a wide range of towing services. If you are involved in an crash, you can request Tortorich Wrecker Service to tow your vehicle. We have years of experience serving Ascension Parish (including the Gonzales, Prairieville, Sorrento, Geismar, Dutchtown, Donaldsonville, Darrow, Galvez, and St. Amant areas), St. James Parish (including Lutchter, Gramercy, Paulina, and the Sunshine Bridge areas), Assumption Parish, Iberville Parish, Livingston Parish, and East Baton Rouge Parish. Directions: From Hwy. 3089 (Marchand Drive in Donaldsonville), turn onto Hwy. 308 (East Bayou Road in Donaldsonville). About one mile away, the lot will be on the left, after Vatican Drive. The driveway is just before Latino Drive. 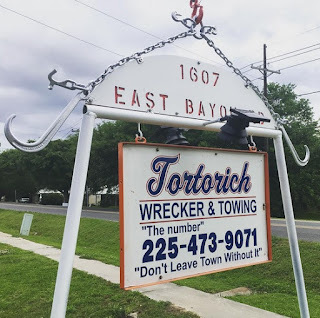 Tortorich Towing and Wrecker Service is centrally located in the southeastern portion of Louisiana, with quick access to the Baton Rouge, New Orleans, Houma and Acadiana areas. Tortorich Towing & Wrecker Service in Donaldsonville, Louisiana serves a wide range of locations, including the greater Baton Rouge, New Orleans, Lafayette and Houma areas. Here are just a few of the communities we frequently receive calls from: Gonzales, Sorrento, St. Amant, Geismar, Darrow, Dutchtown, Prairieville, French Settlement, Port Vincent, White Castle, St. Gabriel, Baton Rouge, Plaquemine, Port Allen, Addis, Baker, Zachary, St. Francisville, Denham Springs, Walker, Maurepas, Hammond, Springfield, Covington, Mandeville, Slidell, Kenner, Metairie, Luling, Hahnville, Destrehan, Westwego, Marrero, Belle Rose, Napoleonville, Paincourtville, Pierre Part, Labadieville, Thibodaux, Morgan City, Schriever, Raceland and Lockport.